LEGO Week Archives - Mama.Papa.Bubba. 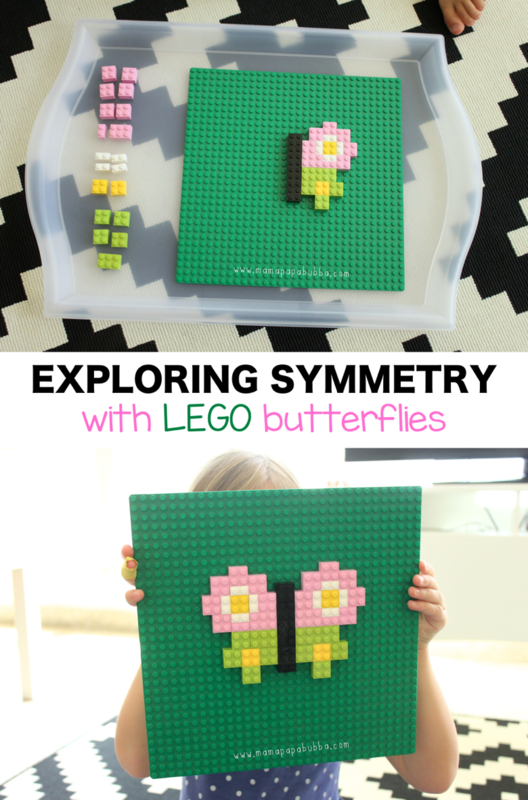 My gosh, are we ever on a roll with fun LEGO projects this week! 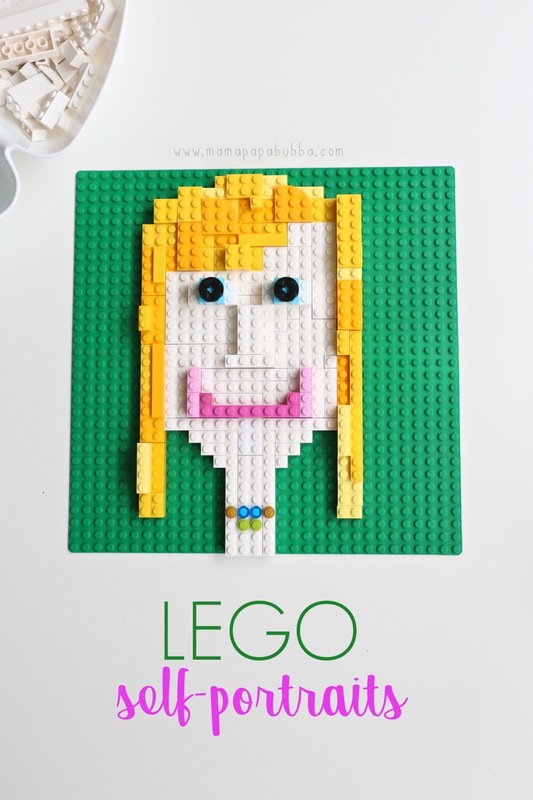 After yesterday’s gorgeous LEGO mandala art, we decided to try our hand at layered LEGO self portraits today and oh my word – we loved everything about the project! I don’t remember when or how it came up, but recently, Miss G and I were talking about mandalas… Grae asked what makes a mandala a mandala, and since I’m by no means an expert, we popped online to do a little bit of research. What we learned is that artistically, mandalas are detailed circular designs that often contain repeating patterns and shapes. We took a look at lots of gorgeous mandala images and read a little bit about what they symbolize too, which was really interesting. 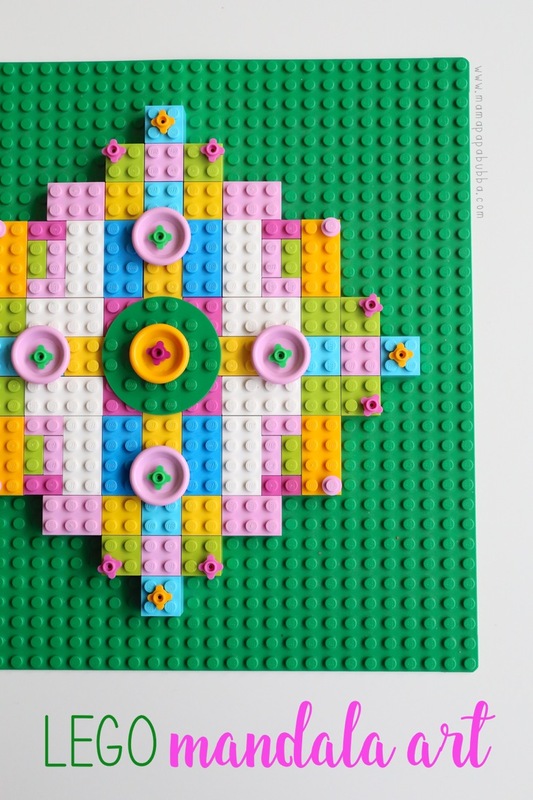 So when I was thinking about fun and different ways we could use our LEGO collection for LEGO Week, I had mandalas on my mind – hence our LEGO mandala art. 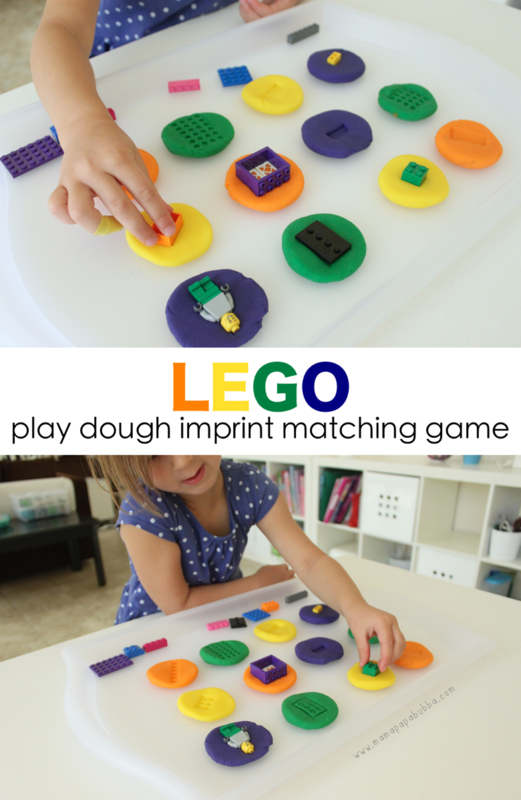 Oh, how we love LEGO and DUPLO in this house! LEGO bricks and sets to add to our collection have pretty much been permanently stationed on Miss G’s wish list since she was 3 and now that Sam’s really taken a liking to DUPLO, I think we’ll have to work on expanding that collection too. 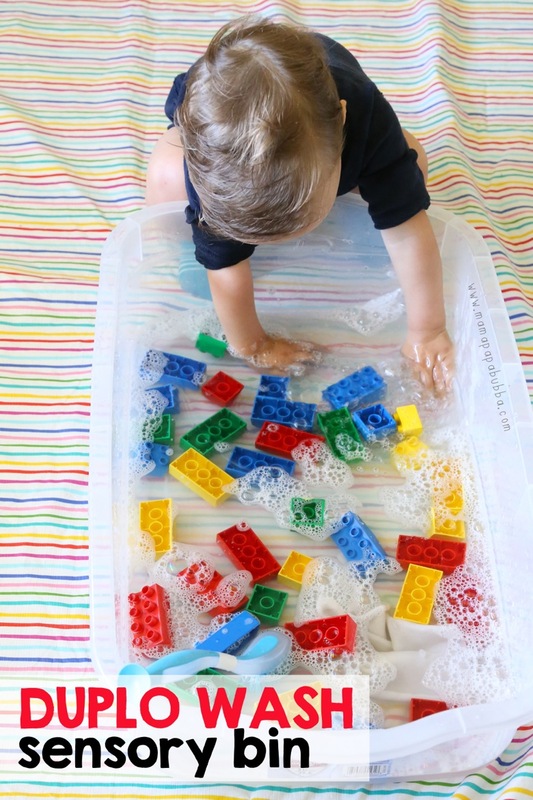 He loves making towers, pulling the bricks apart, and banging them together to make music at the moment, and today we added washing them with a DUPLO wash sensory bin to the list. 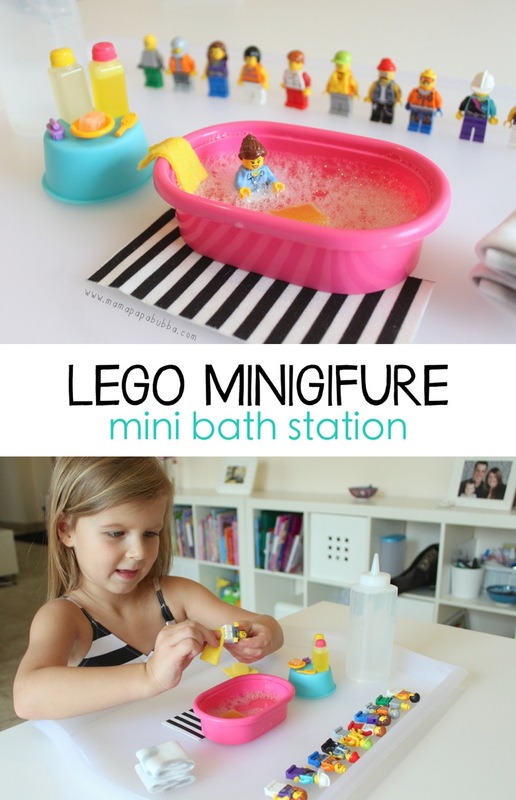 Okay, so I’m fairly certain we’ve gone off the deep end with this LEGO minifigure mini bath station, but hey – Miss G loved it. In fact, she thought it was the cutest, silliest, most fun thing ever! Win. While I didn’t have anything LEGO-inspired planned for today, Miss G and I had a little bit of downtime this afternoon and while brainstorming, we remembered the laminated LEGO people printouts we paired with plasticine for last summer’s house boating trip…. Perfect! Grae and I love playing tic-tac-toe. We play it down in the courtyard with sidewalk chalk, we play it at the beach in the sand, and we play it at restaurants with napkins and pens. 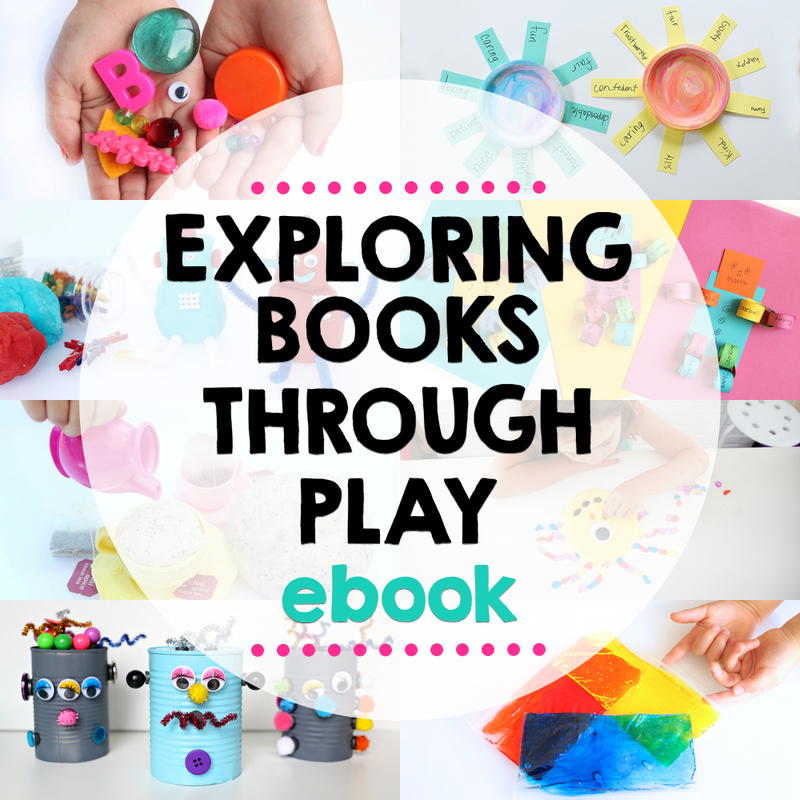 So why not play with LEGO too?! 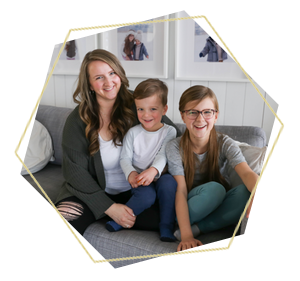 As you may or may not already know, this week Miss G and I are participating in a fun-filled ‘LEGO Week’ with a bunch of other blogging friends, which basically means that we’re dedicating the week to sharing activities and projects inspired by LEGO! LEGO. Miss G’s been into it in a big way for sometime now, so when some blogging friends made mention of an entire week dedicated to LEGO-inspired fun, I jumped aboard as quickly as I could.